It's estimated that nearly one-third of all cancer deaths are caused not by the cancer itself but by cachexia—a debilitating muscle-wasting syndrome that affects an estimated 80 percent of advanced cancer patients. Cachexia is linked to reduced tolerance for cancer therapy, poor quality of life, and accelerated death, but there are no effective treatments and its cause is still largely unknown. A new study from Columbia University Irving Medical Center suggests that an overload of zinc in patients' muscles may be the culprit. The findings, published online today in Nature Medicine, could pave the way for the development of drugs to treat or prevent muscle wasting in advanced cancer patients. "There's a common misconception that cachexia is just a nutritional problem caused by a loss of appetite stemming from the cancer or its treatments," says study leader Swarnali Acharyya, Ph.D., assistant professor of pathology & cell biology in the Institute of Cancer Genetics at Columbia University Vagelos College of Physicians and Surgeons. "Cachectic patients are typically given appetite stimulants, but these remedies only help temporarily and cannot reverse cachexia. As cachexia continues to break down muscle, patients often become too weak to tolerate standard doses of anti-cancer therapies, and their doctors have to scale back treatment. Cachexia can also weaken the muscles of the diaphragm and the heart, causing many cancer patients to die from respiratory or heart failure. To find better ways of treating this condition, we need to learn more about its underlying cause and the molecular mechanisms associated with this syndrome." In the study, Acharyya's team looked in the muscles of mice with cachexia to see if they could find differences compared with normal muscles. The analysis revealed greater activity of a protein called ZIP14, which is typically expressed in liver cells to facilitate metal transport but was found to be abnormally expressed in muscles of the cancer models. They also found high levels of ZIP14 in samples of muscle tissue from cancer patients with cachexia, suggesting a link between ZIP14 and cachexia in people. "We often think cancer injures the body by spreading and invading vital organs," Acharyya says. "But cancer can also injure in another way, by releasing substances that affect other areas of the body that are cancer-free. 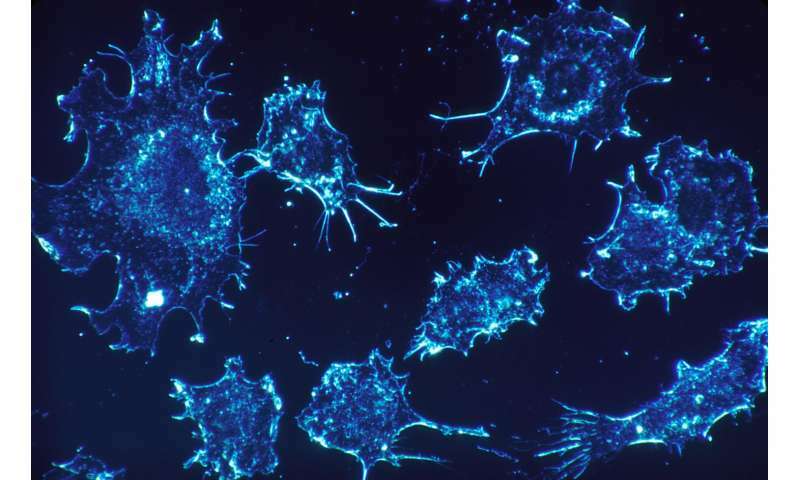 This is an area that is often overlooked in cancer biology research, but addressing it during cancer treatment could have an important impact on patient survival and quality of life." The discovery of zinc and ZIP14's connection with cachexia may lead to ways to reduce cachexia's impact on patients. In the study, reducing ZIP14 in muscle cells markedly reduced cachexia, suggesting that drugs that inhibit ZIP14 could improve cancer survival and quality of life. "Zinc is essential for maintaining many functions in our body, and is often taken as a supplement," says Acharyya. "But excess zinc supplementation may not always be a good thing, because we saw that giving excess zinc supplements to mice with tumors accelerated their muscle wasting and weight loss. With more translational studies, clinicians and patients may need to reconsider the practice of using zinc supplements, especially if they have tumors commonly associated with cachexia." Dr. Acharyya is currently designing strategies to inactivate ZIP14 with Anup Biswas, Ph.D., one of the lead authors of this study. These efforts could lead to the development of therapies to combat cancer cachexia in the future. The paper is titled, "Metastatic cancers promote cachexia through ZIP14 upregulation in skeletal muscle."